Charming candle light dinner featuring singer STEPHANIE KHOURY & her band along with our fabulous violinist JACK ESTEPHAN who will keep you in LOVE all night long. Probably the best single word to describe the Long Yin Chinese restaurant is “cozy”. 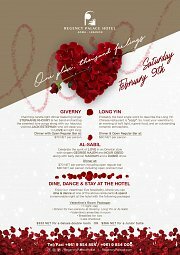 So, treat your valentine to an evening of soft light, superb food, and an outstanding romantic atmosphere. 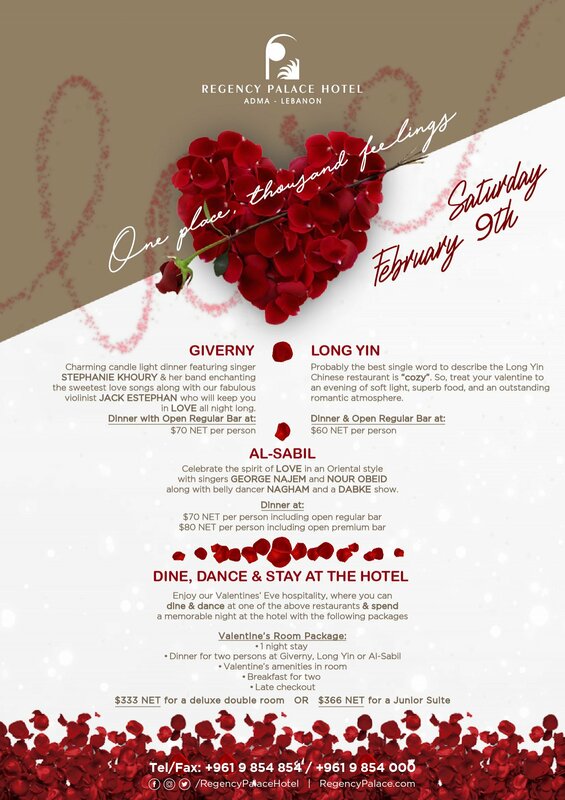 Celebrate LOVE in an Oriental style with singers GEORGE NAJEM and NOUR OBEID along with belly dancer NAGHAM.